Everyone needs to understand the impacts of this rule and speak up to the EPA, legislators, governors, and state agencies. The Carolina Wetlands Association will issue an announcement when the public comment period opens. In the new rule, wetland protection is dependent on stream protection. Stream protection will be drastically reduced, covering only perennial streams and some intermittent streams. In order for a wetland to be federally protected, it must directly abutt a jurisdictional stream or be an “adjacent wetland” with continuous surface flow to a jurisdictional stream part of the year. This means all bays, depressional wetlands, isolated wetlands, and floodplain wetlands will lose protection. 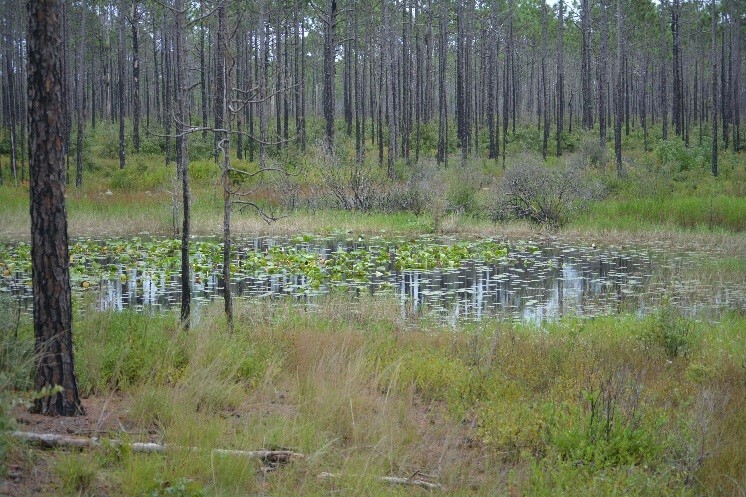 North Carolina and South Carolina have extensive acreage of these types of wetlands. The new rule will result in huge losses of our wetlands and streams. Should we protect only perennial streams (not intermittent)? Should the definition of a wetland be changed? The proposed rule is devastating to wetlands, but the final rule will be worse, as indicated by the tone of the EPA’s questions for comment. This EPA is hiding behind the idea of giving jurisdiction to the states if they want to protect these streams and wetlands. They even go so far as to say there may be no real loss of streams and wetlands because states can make up for the lack in protection from the EPA. This is unlikely to happen soon in North and South Carolina, so the new rule will result in huge losses of our wetlands and streams. What is devastating for our wetlands, will be devastating for us. Our wetlands do so many things for us – for free! If we lose protections of our wetlands and streams, we will lose the benefits they give us all. We need to speak up against this proposed rule. Speaking up is an important role of CarWA, especially at this time. We can talk about why these wetlands matter to all people, and why they deserve continued protection. Some of our Wetland Treasures would not be protected from development under this proposed rule (eg. Lewis Ocean Bay, Antioch Bay, Green Swamp, Hemlock Bluffs vernal pools). North and South Carolina have so much at stake; please plan to make a comment when the time comes and speak to your representatives. Press Release: Celebrate Wetland Treasures this Spring! To Make Donations through Pay Pal Giving Fund, click on the Button below. Carolina Wetlands Association shared a post. Carolina Wetlands Association shared a link. The environmental health of wetlands across the world is deteriorating. The authoritative Global Wetland Outlook released by the Ramsar Convention on Wetlands in 2018 highlighted an alarming trend in wetland loss; at least 35 percent of the world's natural wetlands have been lost since 1970.